Police: Kyle Milken of Patchogue, 27, was charged with Driving While Intoxicated. SCPD arrested Kyle Milken of Patchogue, 27, for DWI. Brookhaven, NY - October 15, 2018 - Suffolk County Police arrested on Monday, October 15 for driving while intoxicated after he crashed his vehicle into a utility pole in Brookhaven. A Fifth Precinct police officer observed a 2000 Chevrolet Blazer travelling southbound on South Country Road at a high rate of speed at approximately 11:55 p.m. on Sunday, October 14. When the officer attempted to pull over the Blazer, it crashed into a utility pole near the intersection of South Country Road and Trout Ponds Court. The driver of the Blazer, Kyle Milken, then exited the vehicle and attempted to flee the scene on foot. Officers apprehended Milken moments later. Milken was not injured in the crash. 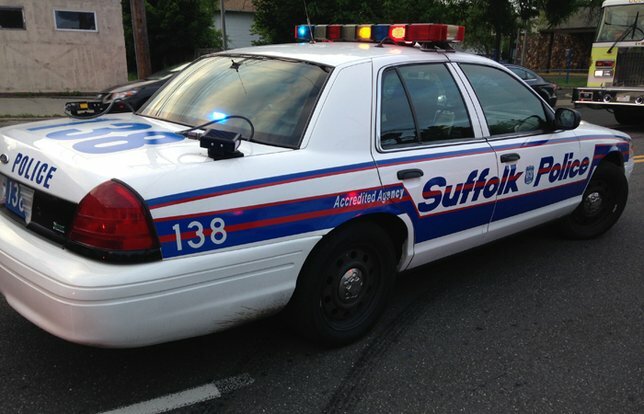 Milken, 27, of Patchogue was arrested and charged with Driving While Intoxicated. He was also issued citations for Unsafe Speed, Leaving the Scene of an Accident and Aggravated Unlicensed Operation of a Motor Vehicle. Milken is being held overnight at the Fifth Precinct and is scheduled to be arraigned at First District Court in Central Islip on October 15. Subject: LongIsland.com - Your Name sent you Article details of "Drunk Driver Crashes Vehicle into Brookhaven Utility Pole, Officials Report"